Mo Farah is set to run his first outdoor track race since last summer’s IAAF World Championships at the Prefontaine Classic this weekend. The double Olympic champion, who retained both his world 5000m and 10,000m titles in Beijing last August, has raced on the road, cross-country and indoors since his success in China, but the 10,000m in Eugene will be his first outdoor track race of 2016 as he gets ready for Rio. 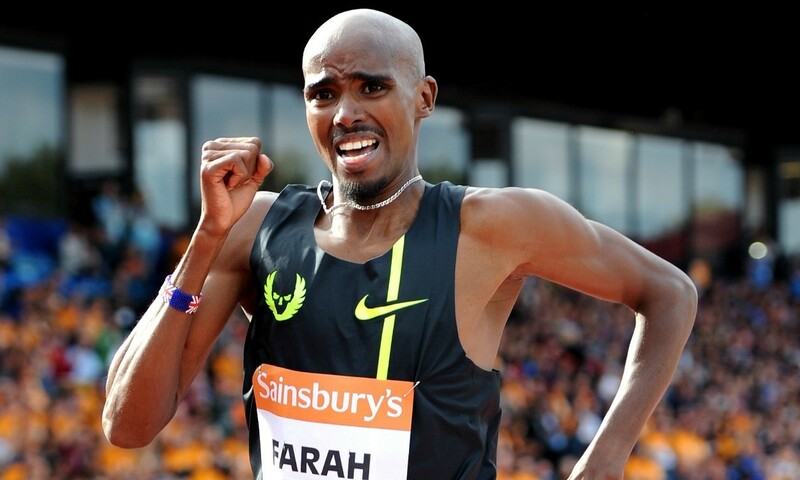 The men’s 10,000m is the final event of Friday’s programme for ‘Distance Night in Eugene’ (21:18 local time, 05:18 BST on Saturday), with Farah looking to add to his two victories in this event from 2011 and 2015. This time he will go up against Eritrea’s half-marathon world record-holder Zersenay Tadese and Ethiopia’s 2011 world champion Ibrahim Jeilan, plus Tariku Bekele and Imane Merga, Kenyans Josphat Kipkoech Bett, Emmanuel Kipkemei Bett and Stephen Sambu as well as USA’s Chris Derrick. Diamond League events on that first evening of action include the women’s long jump with Britons Shara Proctor and Lorraine Ugen, women’s discus with Sandra Perkovic and Britain’s Jade Lally and men’s shot put with Tomasz Majewski and Tom Walsh. Other non-Diamond League events include the women’s 5000m from which world 1500m record-holder Genzebe Dibaba has withdrawn but the line-up features world 10,000m champion Vivian Cheruiyot, plus Gelete Burka, Viola Kibiwot, Hellen Obiri and Mercy Cherono. The action continues on the Saturday, with the men’s triple jump, featuring Olympic champion Christian Taylor, getting things back underway at 12:15 (20:15 BST) before the men’s pole vault including Renaud Lavillenie, Sam Kendricks and Shawn Barber. Following the distance running action from the evening before, Saturday’s men’s 5000m includes Yomif Kejelcha, Geoffrey Kamworor, Hagos Gebrhiwet and Muktar Edris. The Bowerman Mile features three-time world champion Asbel Kiprop, Ayanleh Souleiman, Abdelaati Iguider and Olympic champion Taoufik Makhloufi. World champion Dafne Schippers, silver medallist Elaine Thompson and world leader Tori Bowie will battle in the 200m, while Sanya Richards-Ross goes in the women’s 400m in a field where seven have run sub-50 seconds. The women’s 100m hurdles features Tiffany Porter as the Briton takes on Brianna Rollins, Sharika Nelvis, Jasmine Stowers, Kendra Harrison, Nia Ali and Dawn Harper Nelson. Isobel Pooley contests the high jump, while her fellow Briton Laura Weightman toes the line in the women’s 1500m. After the Pre Classic, the IAAF Diamond League series moves on to Rome on June 2 and then Birmingham on June 5.